I am a weight loss surgery patient of Dr. John Oldham at Baptist East. I met Glenda Wagner at an intake meeting before my second surgery and then again at a support group meeting after surgery last year. I decided to take her class, Learn to Exercise, to see if I could find a way to exercise around my physical limits. I had not been to Milestone before and I was a little intimidated at first and just about talked myself out of coming inside for her class, but I'm so glad I did. I was really impressed with everything the facility offered. During my 12 week class, I fell in love and by the end of the class I was able to find the money to pay for my membership and have never looked back. I started with the class Learn to Exercise. It introduced me to styles of exercise I had not done before, nor ever dreamed I would be able to do. From the class, I began to utilize the therapy pool to work on range of motion and water resistance to build up my hip muscle systems and my knees and legs. Over time, I have noticed even my asthma and breathing has improved as well. I took a PUMP class with Sue and I have used the stationary bikes and ellipticals and the weight machines up stairs. I have worked with a trainer to introduce me to free weights and other muscle building exercises, and I have more regularly taken Tami Comb's beginners yoga class. My muscles in my hips have gotten stronger, my ankles and knees as well and the pain I had has greatly decreased. I can see definition in my arms and my energy level has increased beyond any thing I ever dreamed. Yoga classes work to keep and improve my flexibility and the water helps everything from my mobility to my breathing. I own a huge thank you to Glenda for speaking positive encouragement into me from the start and for teaching me to love myself and to grab my health with both hands and never give up. She has been a big part in my continued positive attitude and I owe her so much for introducing me to Milestone. It's the most comfortable fitness facility I have ever worked out at. I drive 35 minutes from my home just to be here and be a part of this group of people that are all here because we choose to regain our health. I refer to this place as Wellness, it's not a gym it's a life style! I also owe a huge thank you to Tami Combs for constantly speaking life and positive encouragement into me during her yoga classes. She made the biggest person in her class feel just like everybody else. She didn't let me hide behind my weight excuses and opened up a door to allow me to see things differently about Yoga and life. She made a statement that has stuck with me through my whole journey and it changed my life and my mind set..."Don't try to fit your body to the poses, make the poses fit to your body!" How profound that was for me to hear. If something is not working, the traditional way then alter it, find a secondary way to get a similar result and then keep trying. Eventually, you may actually succeed at the regular thing and if not then embrace the change as your normal and it's okay. I have applied this attitude to Yoga, fitness, food, my job, all aspects of my life...don't give up just find a different way to get the end result you want. SO grateful for Tami. I have been overweight all my life. I have been on diets since I was 10 years old. My highest known weight was recorded at 379lbs in 2006. In 2009, I had lap band surgery and thought I was going to drop the pounds and be beautiful, but I never really worked at it like I should have. I never changed my mind set. When my body rejected the band, I had to have it removed in July of 2014. I gained back almost all my weight and felt like the biggest failure once again. My body began to deteriorate, and by October of 2014 I was walking on a cane. By November, I was in physical therapy because my hip ball and socket muscle structures were not supporting the function of my leg. I was dragging my leg, could barely walk, my weight had gone back up to 350 and my mobility was getting worse by the day. 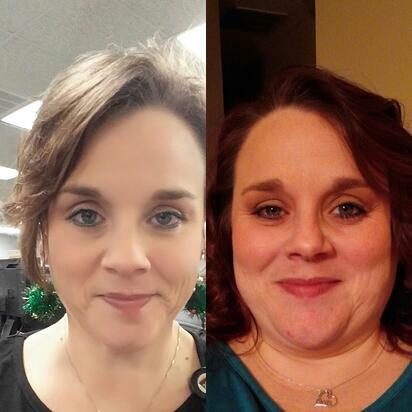 I was diagnosed by the physical therapist with lymphedema, and I knew weight loss was something I was going to need help with because everything I had been doing on my own was not working. I was 40 years old and in line to be in a wheel chair if I continued the path I was on. 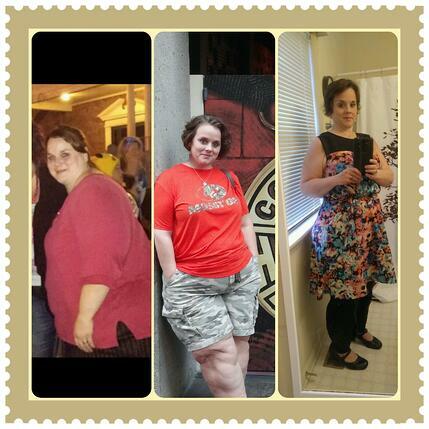 On January 19, 2015, I had a second weight loss surgery, vertical gastric sleeve, and I began my current lifestyle. The surgery was only a tool. I knew this time if I was going to make lasting changes to my life, if I was going to regain my health and really live, I was going to have to change everything. My mindset had to be about nourishing my body not indulging in junk for a temporary feel good moment. So I began to buy foods that were more organic, non GMO, whole foods. I found Trader Joe's and Costco's and Wholefoods. I learned new ways to take the foods I had loved and redo them to fit my new nutrition needs, and then I found Milestone. I have made exercise a part of my routine and I enjoy coming here to work out. I feel better physically after I do, everybody comments on how I look, how I carry myself, and how I smile all the time now. Even my boss has noticed my stress levels lower and my ability to handle situations in a more positive way. She always asks me did you work out today?... and the answer is usually yes. Tell us more about your fitness journey. How it started? How it is going? I want to live the rest of my life the best of my life, and I know it's going to take a positive attitude, good food and an active lifestyle to make that happen. I'm not perfect. I miss workouts, and eat not so healthy foods every once in a while. I'm human. This is not a diet, it's a lifestyle. It's not about getting to a certain number or size in clothes. It's not about how I look...I FEEL BETTER and that is priceless to me. In the last year, I have gone from 335 on day of surgery to 227 as of this morning and while my body looks differently, I am still me, just a better, stronger, healthier and happier more confident version of who I have always been. On a journey. Thank you Baptist Health Milestone Wellness Center for being an instrumental part of my journey. I plan to be a part of this facility for a long time! I am honored to be considered for the Member of the Month. I'm just like everyone else, working to get and stay healthy, and a member of the best facility for health in Louisville...well at least in my book!